If you watch the news on TV, open the newspaper, get your information on your mobile and even watching interactions in our daily lives, you will notice we are living in “scary” times. Times where it’s easier to rant on your favorite social media about how bad things are and how you are being “mistreated”. We have written blogs about how to succeed in the customer service business, how to manage your time and tips and tricks for healthy finances. Here’s one about making people smile and random acts of kindness with the intent to get people thinking about themselves and reaching out to others who can use a cheering up. At PartnerHero we believe that kindness is the key to happiness and being kind to others is the secret to living a fulfilling life. Kindness reduces the effects of stress. Next time you’re having a dog day, take 5 and do a random act of kindness. Holding a door for a stranger, letting someone cut in front of you in line or offering a couple minutes of help to a coworker help minimize stressful emotions. Have you heard about serotonin? 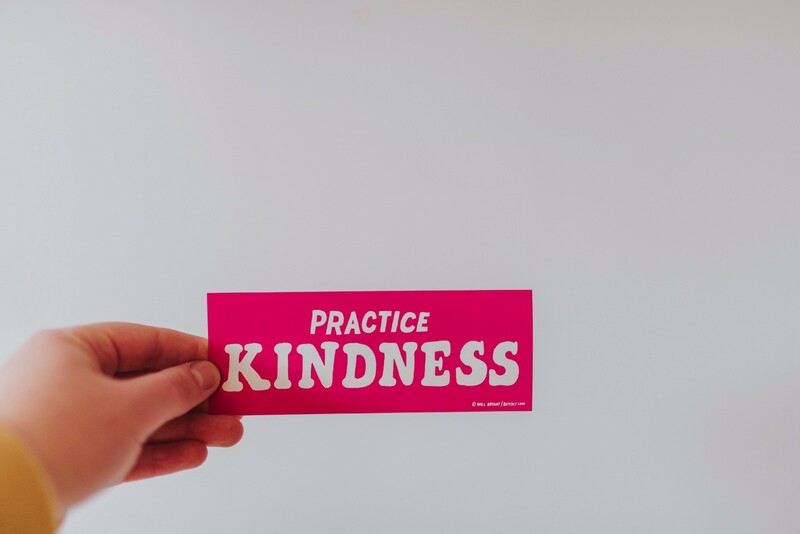 According to research, random acts of kindness triggers the release of serotonin, a neurotransmitter that helps mood stability and oxytocin, a hormone that plays in social bonding. (Go hug someone) In the end, you’ll feel loved and emotionally stable if you’re kind to others. Here’s the “selfish” side of performing an act of kindness. Once you perform one, the vibes you get from other people’s gratitude and happiness translate into helpful benefits for you. Being kind can increase your sense of self-worth and makes you more energetic. Ultimately random acts of kindness come in all shapes and forms. Just giving someone a smile, an unsolicited compliment today can make a difference in a person’s day. Teaching a stranger how to get on an electric escalator, paying for the next person’s coffee or bringing food to a neighbor coming out of the hospital could sure brighten both of your days. Picking up the trash in a park, offering to babysit for a couple who need a date or two. Some call this the principle of cause and effect, others call it karma. Me? Well, I think that what goes around comes around.